Not sure where and when this was taken. Looks like one of the cottages on Waroda Road or did the school actually look like this. Help us with dates. Submitted by Jocelyn Gonsalves on July 31, 2012 - 10:50am. 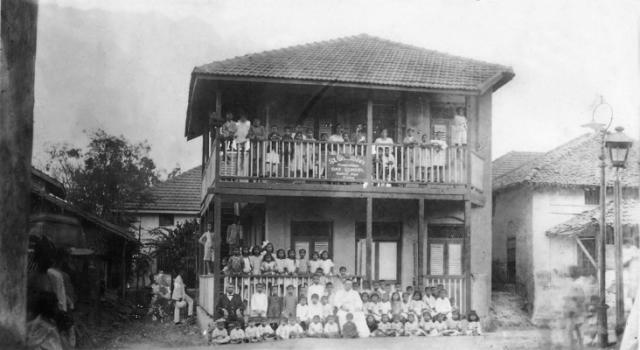 The Photo of the OLD Old School, is most probably the residence of Late. Master Gregory, the former Scout Master, opp the Waroda Road gate.